Are you a frequent traveler? 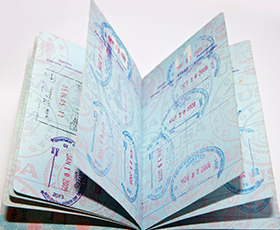 Your passport may be running low on blank pages so you may need to add passport pages for more visa stamps. Any time you travel internationally, you will need to make sure your passport still has blank pages marked “Visas.” You will need at least one blank page any time you enter a country, and if you need to get any visas, you will likely need to have at least two blank pages facing each other. Can I add passport pages? The special government procedure to have a new set of pages sewn into your valid passport was discontinued on December 31, 2015. You will need to renew your passport if you run out of blank visa pages. It is no longer an option to add passport pages. Please note that you can request a large size passport book with 52 visa pages when renewing your passport.